British lawmakers on Wednesday voted to approve bombing raids in Syria targeting Daesh, also known as ISIL/The Islamic State. Members of Parliament voted 397 to 223 in favor of launching an air campaign in Syria. Following the approval, two Tornado warplanes and six Typhoon attack jets are set to take to the skies from British bases and begin their five-hour journey to RAF Akrotiri in Cyprus, the Daily Mail reported. Prior to the vote, Prime Minister David Cameron urged lawmakers to approve the raids, saying Britain should join a US-led campaign to destroy militants he said were plotting attacks on the West. Many British voters are wary of being dragged into another war in the Middle East. But the November 13 attacks on Paris that killed 130 people swayed some lawmakers and divided the opposition Labour Party. Britain is already taking part in a US-led coalition launching airstrikes against Daesh targets in Iraq. The vote concluded what was about 10 hours of debate by lawmakers. 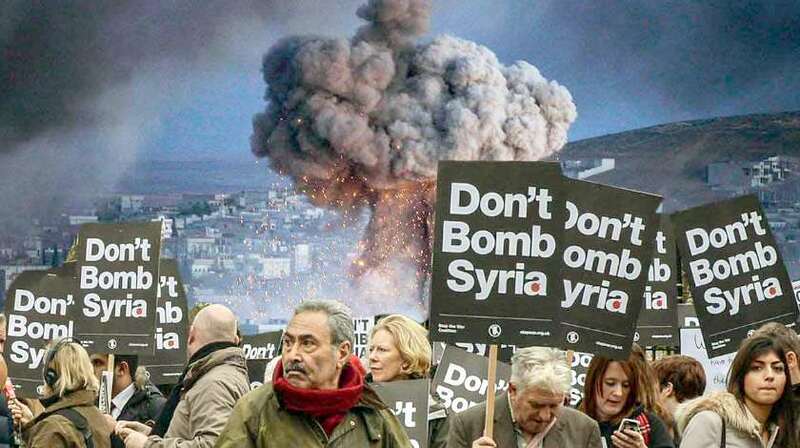 Hundreds of anti-war campaigners managed to shut down Parliament Square on Wednesday, but were unsuccessful in their last-ditch attempt to stop MPs from voting to bomb Daesh in Syria. But Labour leader Jeremy Corbyn said the prime minister’s case “doesn’t stack up” and could make the situation worse. During the debate, Cameron faced calls to apologize for reportedly saying opponents of military action were “terrorist sympathisers”, with Corbyn saying it “demeaned” his office. Two years ago, Cameron called for military action in Syria in response to allegations that the Syrian government had used chemical weapons in the civil war. Parliament, however, voted against UK intervention in that case.